I don’t have a lot of information as of yet, but I will post more as soon as I know. Dorothy “DJ” Johnson has passed away. I won’t go into details because most of you already know what DJ meant to nearly everyone who ever marched with the Knights, as well as years of Blue Stars and Madison Scouts. 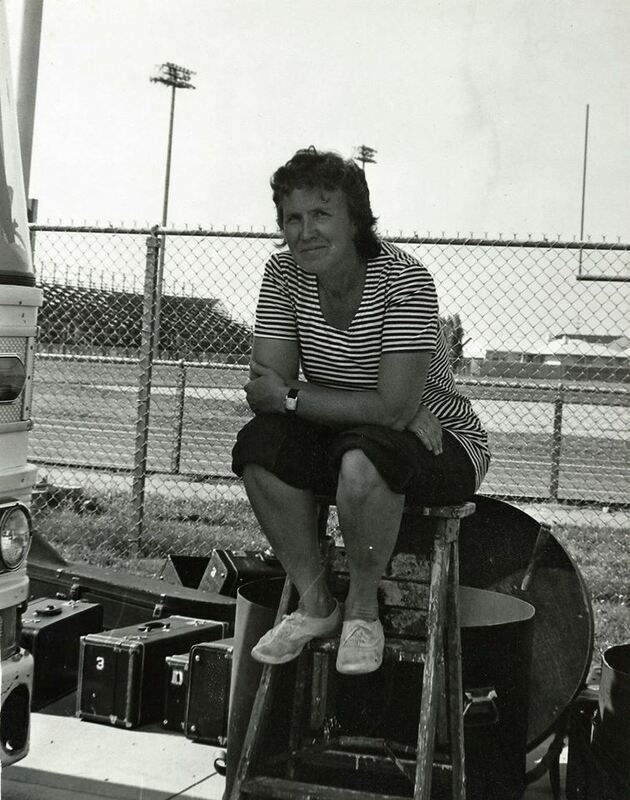 DJ was the only two-time DCI Volunteer of the year (in 1994 with the Knights and in 2004 with the Blue Stars) and will be greatly missed by both her family and the entire drum corps community. Obituary can be found at the Stackhouse Moore Funeral Services website. Karl C. Rosenquist, 53, of Cambridge, died Wednesday, October 7, 2015, at UnityPoint Health-Trinity Rock Island. Cremation has been accorded and a memorial service will be held at 1:00 p.m. Monday, October 12th, at the Cambridge Chapel of Stackhouse-Moore Funeral Services. Rev. Randall Swanson will officate. Interment of cremains will follow at Rosedale Cemetery, Cambridge. Visitation will be one hour prior to the service. Memorials may be made to a charity of the donor’s choice. Karl Charles Rosenquist was born February 5, 1962 in Kewanee, the son of James H. and Phyllis J. Blue Rosenquist. He was educated in Cambridge schools and graduated from Cambridge High School in 1980. Karl attended DeVry Institute of Technology in Chicago and graduated as an electronic technician. He worked for Northrup and Varian. He then attended Blackhawk College in Moline and graduated with honors. Karl went to Southern Illinois University in Carbondale and received his Bachelor of Science degree in electrical engineering. He worked at Caterpillar in Peoria. Karl was a member of the Knights Drum and Bugle Corp in Geneseo from 1976 to 1981, where he played Baritone and Contra. He continued to follow members of the group and enjoyed their reunions. Karl also enjoyed going to the movies. He was a former member of the Cambridge United Methodist Church. Those surviving are a sister and brother-in-law, Nancie and Chris Cassiday, Chillicothe, IL, and several cousins. His parents preceded him in death.